New Vlog To Be Launched: The Executive Marketers Minute! Luminus Partner & CEO, Tim Bouchard, is launching a daily work day refresher vlog (video blog) on YouTube starting March 4th. The Executive Marketers Minute will dive into topics such as branding, marketing, communication, design, digital, hiring, and more. 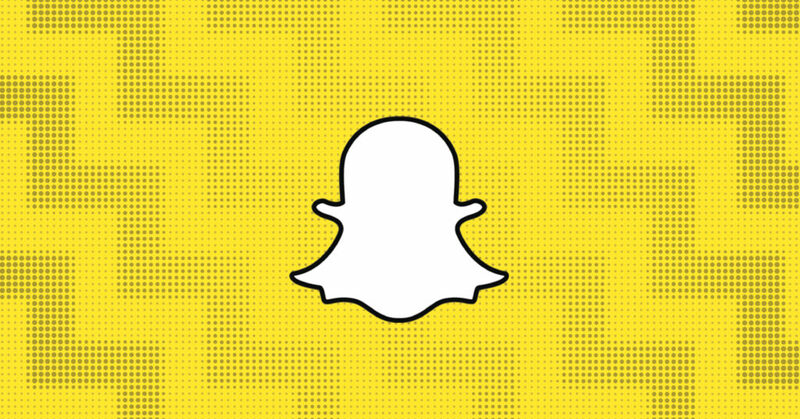 What’s up with Snapchat? This quick-paced social network has been struggling to find its raison d’être over the last few years. With a core user group of millennial females, its audience can be hard to please. Snapchat is finding this to be especially true since the announcement of their redesign that was announced last month. Being a brand is hard, being a person is hard, in 2016 it seems like we’re all balancing on a tightrope with only our big toe. Make a mistake, and you bet someone will be there to point it out. You’re being watched and criticized more than ever before. You know, Benjamin Franklin said “by failing to prepare, you’re preparing to fail”, but I like to think of it as “anticipating crisis”. This might make you feel like a debbie-downer (or me sound like a pessimist), but it’s crucial to think about the potential opportunities for failure so that you can swiftly avoid them and be successful. From the time I was a little girl and throughout my undergraduate studies, I dreamt of being a professional creative writer. In grade school, I would read every book I could get my hands on. In high school, I scribbled through journals with short stories. In college, I fell in love with poetry. So, how did I end up writing ads, websites and blogs for businesses? No regrets here, I love what I do. Writing web content has helped me become more organized, more efficient and more creative. You may be struggling to maintain your creative energy as a content writer, I’m here to help you create better work. This article is intended not for those who work on the web, but for those who are hiring someone to build a responsive website for them. This article will help explain to business owners *how* there responsive website will work and answer some of the common questions we get on a regular basis on the nature of responsive websites. Congratulations! Not only were you smart enough to invest in a new website, you were smart enough to hire someone who can build you a responsive web design! There are a myriad of reasons to make sure your website is responsive, but since you are already convinced, I won’t bother re listing all of the benefits here. When it is time for you to review the build of your new site, it can be a little overwhelming to know what’s normal and what is something that needs to be addressed. But how are you supposed to know? There is a plethora of creative jobs out there in the design and development world. Each possesses a different experience or angle that appeals to various talent and personality types. No matter where you fit into this scenario, there are a few ways to make sure you stand out when you apply for your dream job at any one of these companies. In the creative services world there are generally two types of personalities, both equally valuable and essential to the ecosystem of our industry; business principals and creative talent. In the freelance world these roles combine and sometimes collide. In the small business world these roles blend together, but eventually start to find some separation as a company grows. In my past, I’ve spent time in each one of these roles as a participant in this industry; employee, freelancer, and business owner. I’ve learned how each role contributes to producing great work. For those of you drawn to the direction of starting and growing a creative business, this post is for you. There’s lots to consider when you decide to grow a business beyond yourself and take the leap from being an employee or a freelancer being fed funnel work from a larger agency or partner. As a designer, there are few things more appealing than a well crafted logo isolated on a sea of white space. Free from all other visual distraction, all focus is on the design. But that’s not a logo’s natural habitat. Logos live in the real world; on letterheads and business cards, on websites, on billboards and t-shirts and coffee mugs – basically everywhere except vast, uninterrupted fields of white. So why then, when sending concepts to a client, is it customary to send them in this stark fashion? It’s true that it’s important for the client to see your designs in a distraction-free setting but it is a much more accurate representation of how a logo will eventually look if it is given some environmental context. As creative professionals we rely on having a steady flow of jobs to keep us in business as well as staying forward thinking and pumping out great work. We love telling friends about new projects and the new exciting things we learn along the way. We also sometimes hate clients. We hate that they hold us back. We hate that they don’t understand us. We make websites like “Clients from Hell” to mock them anonymously and vent. While these things help us cope, they don’t help us help clients. I’ve picked a few aspects of client communication that I think everyone needs a reminder on. No, I’m not reinventing client communication in this post. This post is a litmus test for your psyche. This isn’t a one-time read. I think you should bookmark this and read it every month to bring you back down to earth and retain your sanity. We’ve all been in this situation before. That moment you have a great thought or discover something new, then your mind starts racing, and you think to yourself “I need to tell other people about this.” As creative people and builders we find ourselves in this situation often as we pursue bigger and better work in our daily lives. The problem is that we rarely act on that urge. Some of us aren’t naturally gifted writers that can whip up an interesting and inspiring 500 word essay to share with our peers and followers. We’re also busy people, so when we think about work related topics outside of work, we become disinterested. The goal of this post will be to motivate and guide you through taking a very simple thought and expanding it into a fully written piece. I will preface this by saying you do not need to do these steps all at once, but you should do them in order.